[UPDATE–July 28, 2013] This photo is not the only one inspired by one of those transparent bubble helmets. The Indianapolis Museum of Art has three more, including a self-portrait and distorted variation. 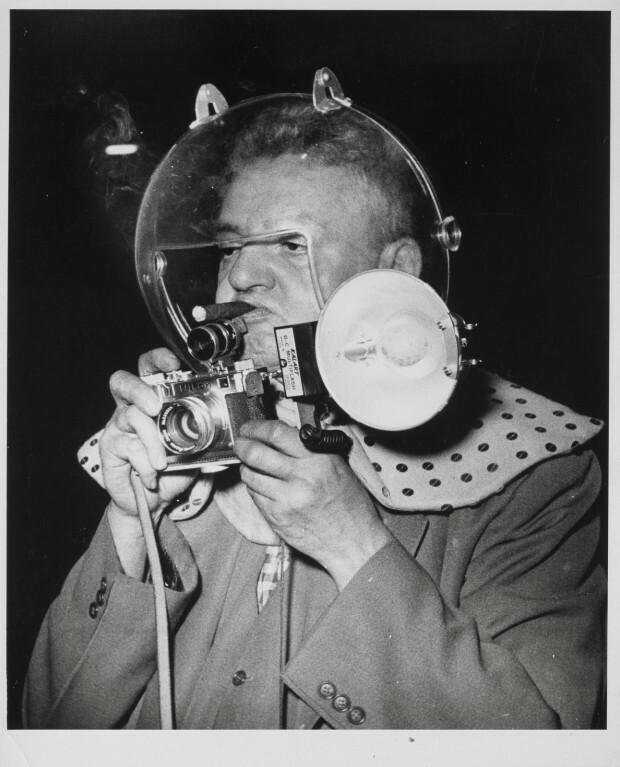 The first one is a self-portrait by Weegee while he holds his camera with its iconic flashbulb. 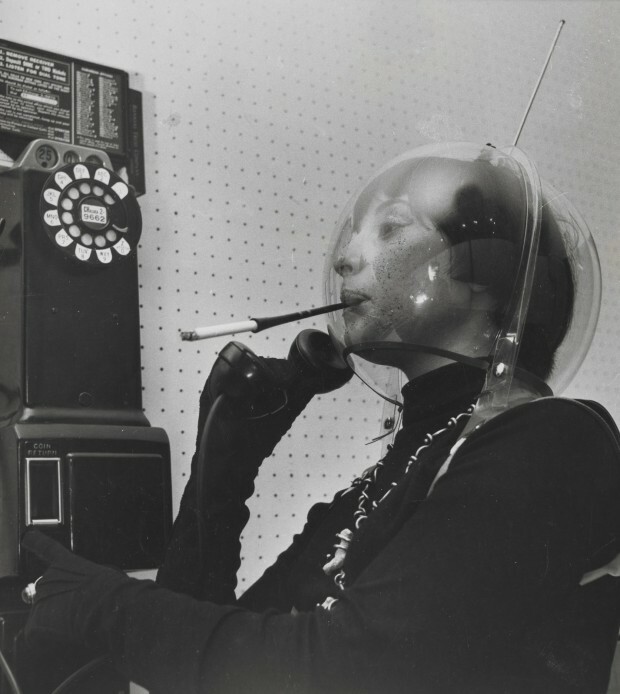 There’s an opening in the transparent helmet, allowing him to keep on smoking his cigar. 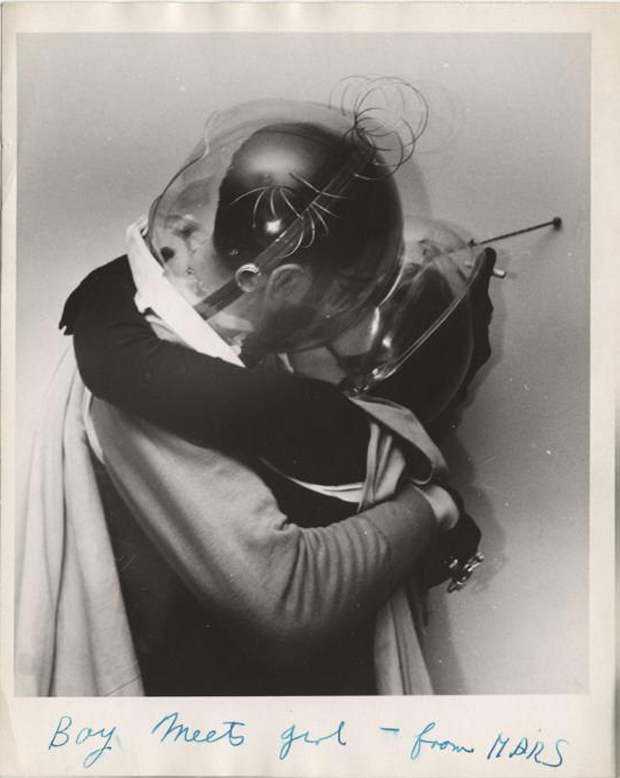 On the verso of the photo, inscribed in pencil: “Weegee at Circus as Space Man”. I know of two other places where one can found large collections of Weegee’s photos alongside accurate and detailed attribution information. The International Center of Photography have an online eMuseum: one can browse more than 3,000 items in the Weegee collection. 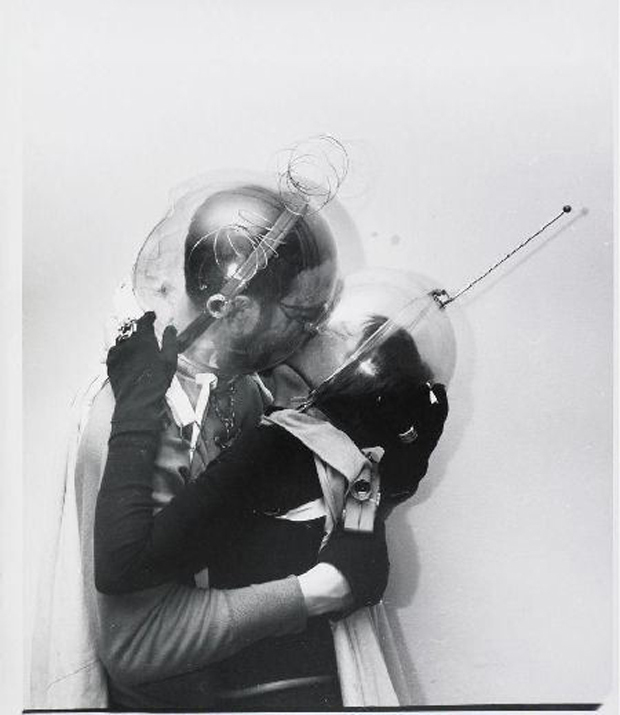 Getty Images also has around 3,000 items related to Weegee (mostly black&white photographs).